When was the last time you hung out around a campfire? Whether you’re a fan of ghost stories or s’mores, nothing beats the warmth of the flames and the closeness of friends and family. As good as it is, few have the time to set up an entire bonfire, gather wood, and wait for it to burn out. Luckily, there’s a solution. 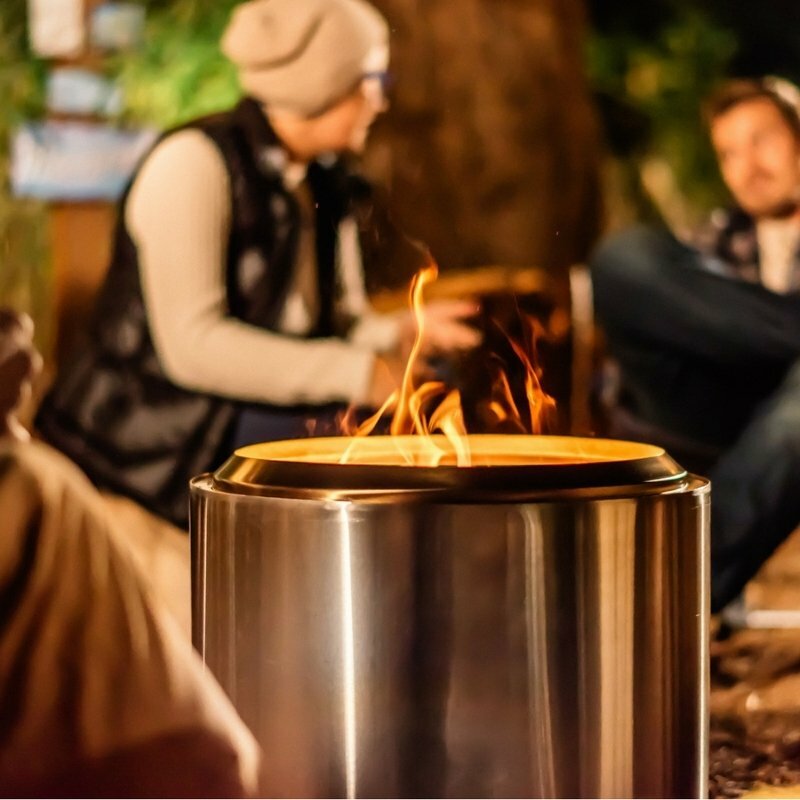 Introducing the Solo Stove Bonfire. Redefining your idea of a bonfire, this system gives you access to a safe backyard fire without all the laborious hassle. 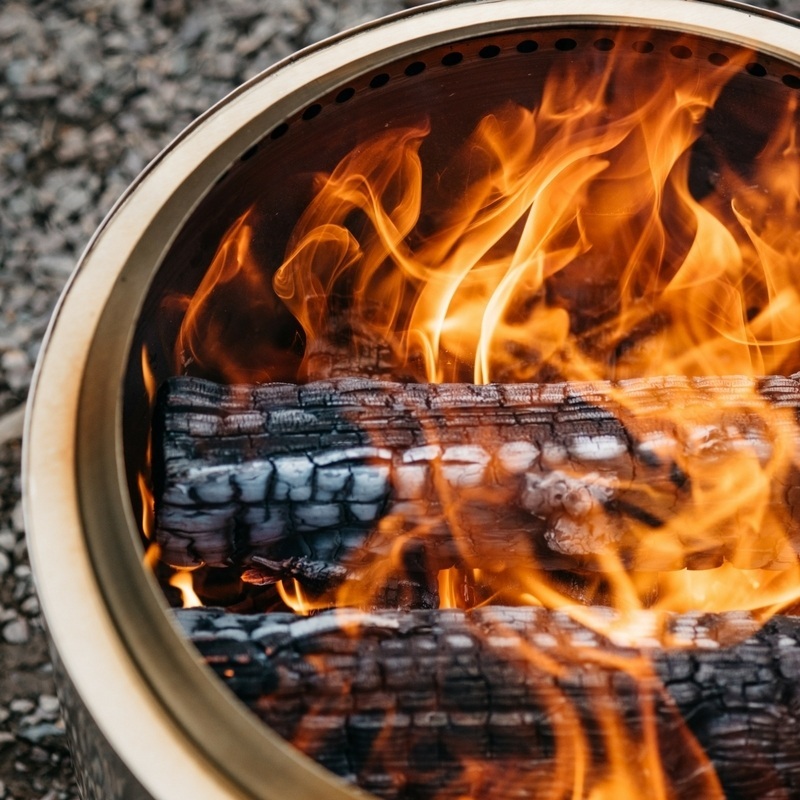 While fire has been around for millions of years, the creators of the Solo Stove Bonfire are reinventing how it’s used. Typically, we place wood in a pile and set it on fire. But, the Solo Stove Bonfire has been expertly designed with engineered airflow to burn efficiently. This is achieved with specially and precisely placed air intake holes. The holes on the bottom draw in oxygen which then pushes through the holes on the sides. The holes produce what is called secondary burn which creates a hotter fire but less smoke. Also equipped with a base plate, the ash is able to fall from the remaining wood logs to keep the airflow open. The base plate neatly catches and collects the ash to allow the logs to burn while also protecting the ground below from the heat. 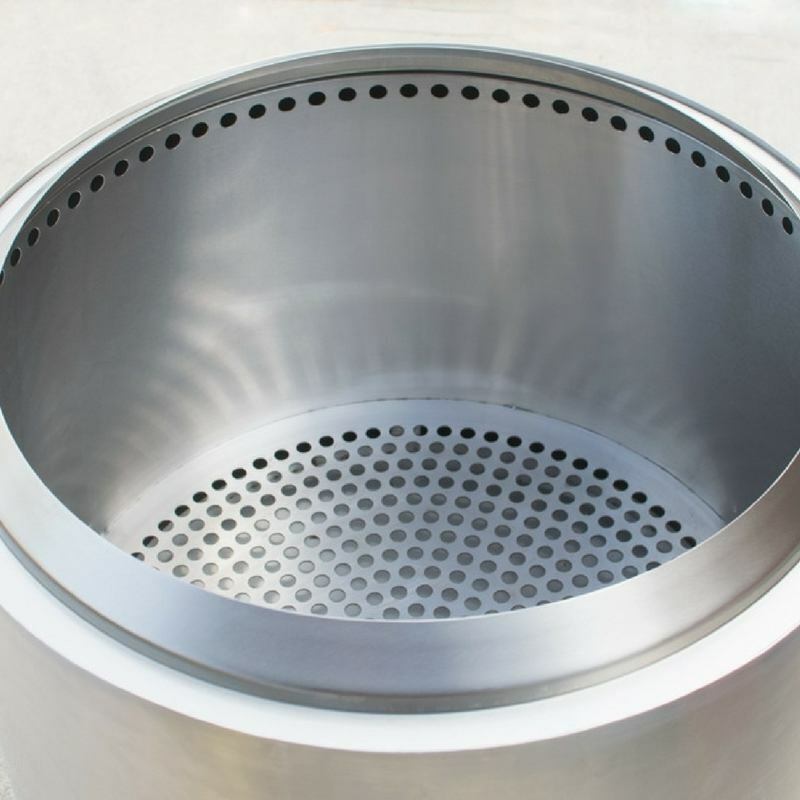 Made entirely with 304 stainless steel, the Solo Stove Bonfire also has a fire ring to keep the fire burning smoothly and evenly in the center. It is the frame of the Solo Stove Bonfire that makes it so convenient. While also looking sleek, the polished stainless steel body is easily filled with standard sized fire wood. From the first light, the air intake system fuels the fire to grow so there’s no stoking, poking, or prodding. The Solo Stove Bonfire burns hotter but with less smoke. 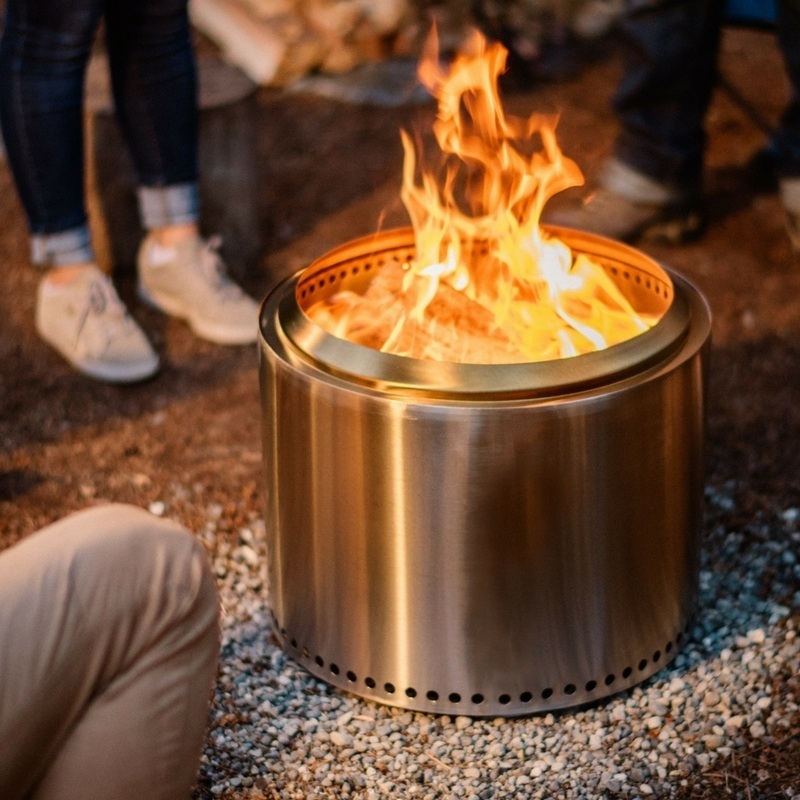 Measuring 19.5 inches in diameter and 14 inches tall, the Solo Stove Bonfire is the perfect size for any and every backyard or front yard. 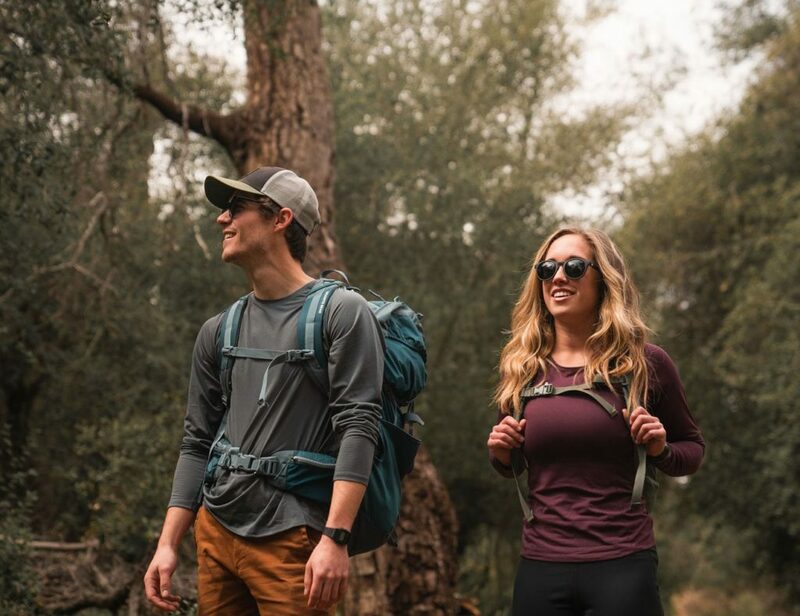 Weighing just 20 lbs., it’s also easy to clean with its minimal parts so it can be taken on camping trips. With the weather-resistant nylon carrying bag, storage and transport are a cinch. Because this isn’t the first product from Solo Stove, the Solo Stove Bonfire will be ready a lot faster than typical Kickstarter campaigns. With an incredible $680k raised and counting, you have until October 26th to get your Solo Stove Bonfire for only $249. After the campaign, it will retail for $279. What’s your favorite part of a bonfire?